Bainbridge® Artcare™ Foam Board offers the highest level of archival protection available. Our FOMD12 board measures 12" x 16" and is ideal for mounting and framing artwork, photos, documents, and more. This board is truly archival and traps and neutralize gases before they can damage your work. 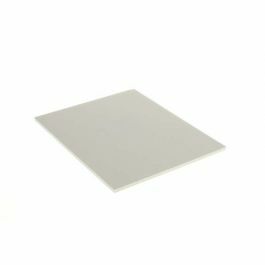 The two-sided mounting board is soft white and and is suitable for floating applications. It has an opaque and toothy surface that eliminates show-through and provides good adhesion. Easy to cut and lightweight, this foam board offers long-lasting protection for treasured art and photos. Provides archival mounting for a 12" x 16" product.